Prepare cubes of Mango marinated with tea syrup and set aside. Pour all other ingredients into a Boston shaker with ice, and shake well. 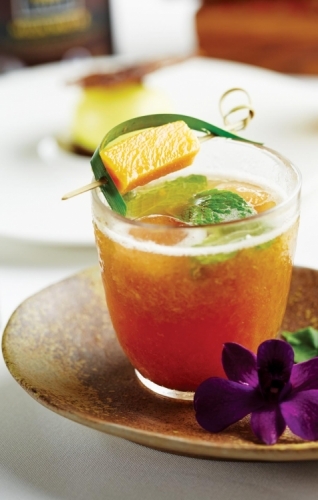 Add mango cubes dressed in tea syrup into a glass. Add ice and pour the shaken beverage on top. Top with the mango stick and serve.